Description: On the last Sunday of the year 1839, Francis Sheridan, an elegant young Irishman in the British diplomatic service, sailed from Barbados for the Republic of Texas. His mission in the new nation was to contribute the opinion of an eyewitness to the deliberations going on in London concerning proposed recognition of Texas. 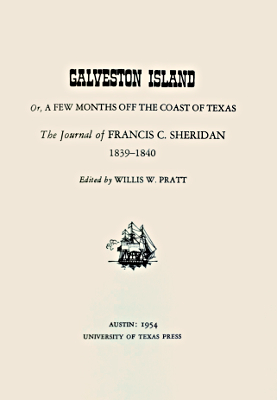 This journal contains some of the material that Sheridan used for his official report and much colorful detail that he did not use. 172 pages, with index. Viewed: 1,066 times since June 25, 2015.